Check out this Awesome cover by Ryan Sook. This cover was used for the Wizard magazine #207 platinum issue to promote the red hot Dark Reign storyline. 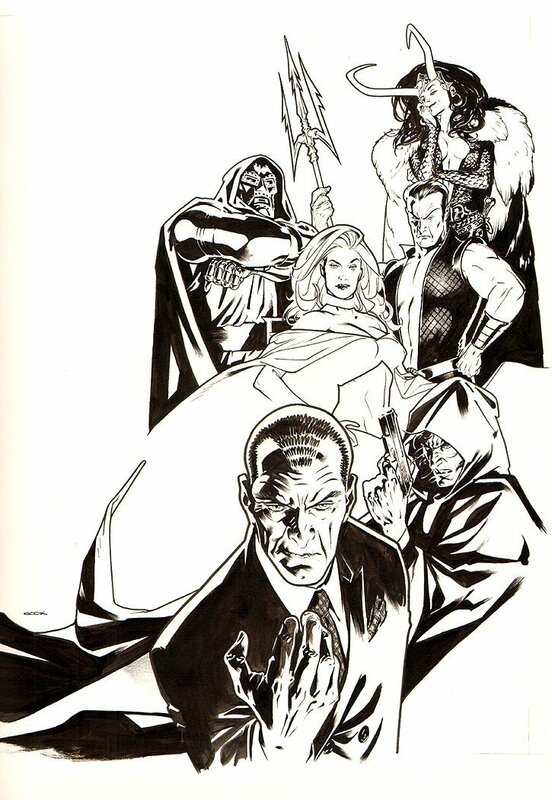 Marvel's new Ultimate Alliance Of Evil with Dr Doom, Loki, Emma Frost, Namor, Red Hood, and Norman Osborne. It is penciled and ink by Ryan on a LARGE 12.5"x 17" art board. Also, cover comes with the small drawing of Norman's hand holding a pumpkin bomb you see in the published image above if you click the red published Wizard magazine link!